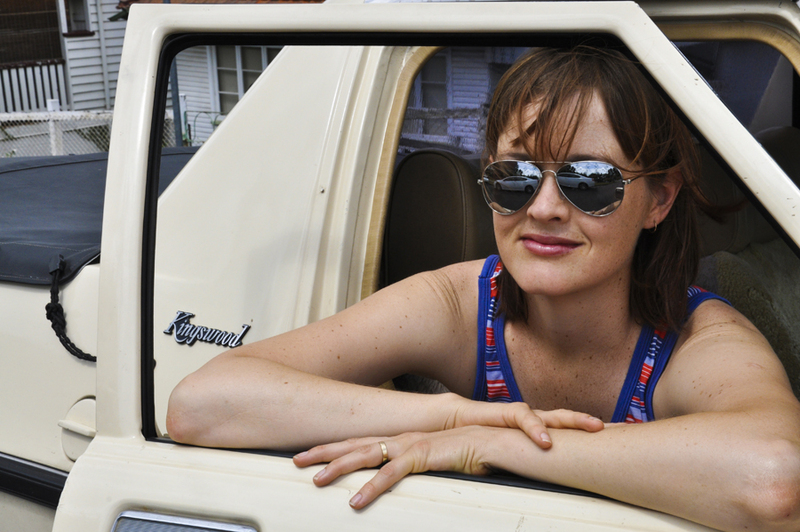 Gen X filmmaker Phoebe Hart always knew she was different growing up – but she didn’t know why. 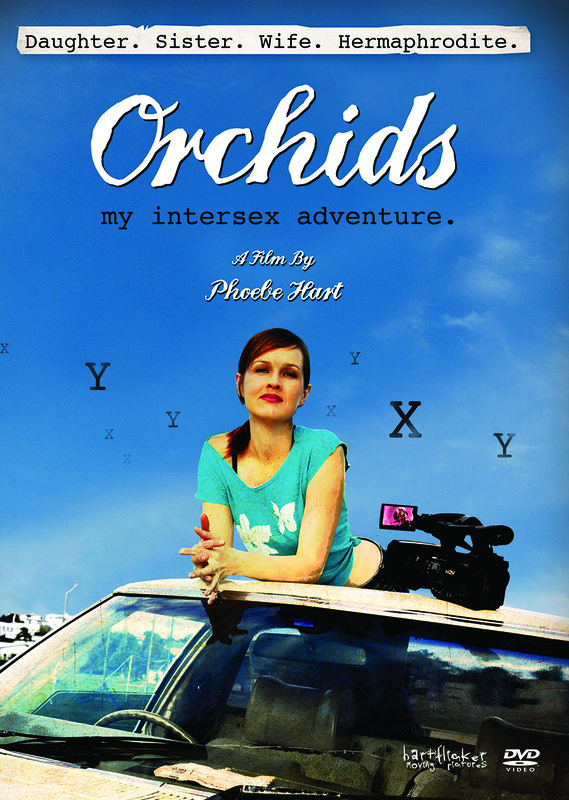 This award-winning documentary traces Phoebe’s voyage of self-discovery as an intersex person, a group of conditions formerly termed hermaphroditism. Learning only in her teens that she was born with 46XY (male) chromosomes, Hart now seeks to understand her own story and the stories of others affected by this complex and often shameful syndrome. 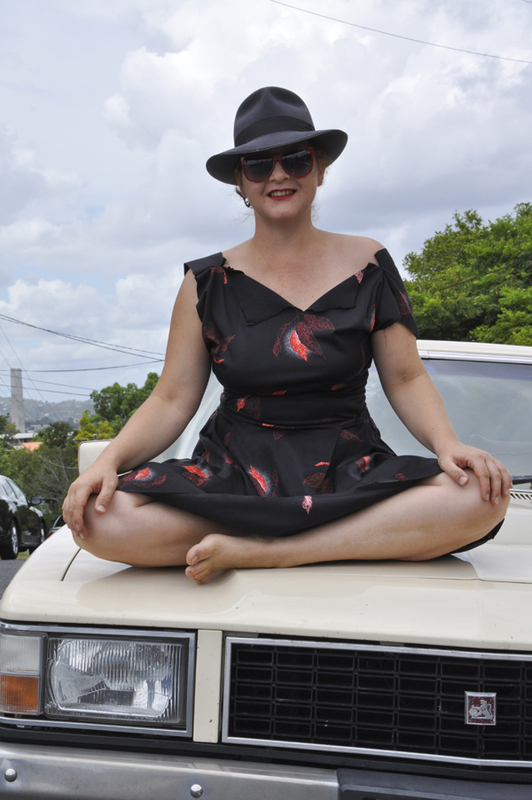 With help from sister Bonnie (born with the same condition) and support from partner James, Hart drives across Australia, interviewing individuals whose struggles and victories mirror and differ from her own. Some advocate systemic change ending shame and controversial genital surgeries, while others debate coming out or staying closeted with a stigmatized secret. Questioning rigidly defined constructs of gender, sexuality, and normality, often with lively good humor, ORCHIDS is the first film to look at intersex from a positive perspective. Its engaging portrait of survival, courage and reconciliation will speak to a variety of audiences and spark lively discussion about what it means to be perceived as "different." 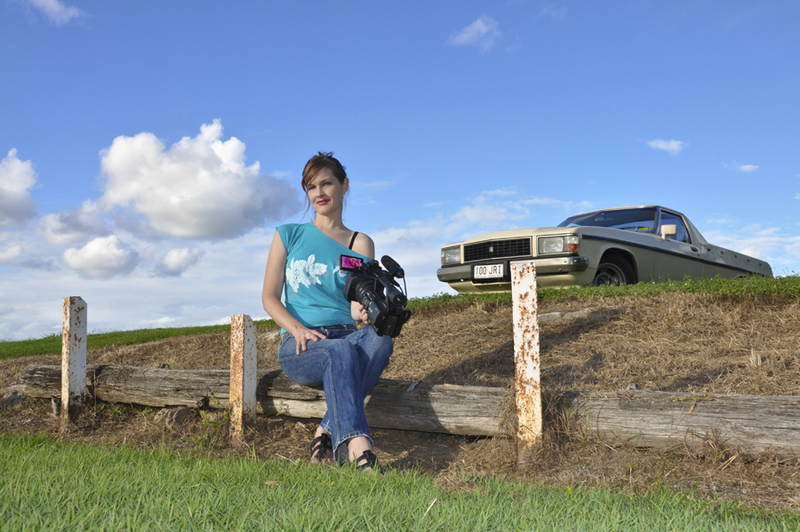 Clara Golden, Ithaca College "The Courage of Conversation"
"Winner of the Australian Teachers of Media's ATOM Award for best documentary, Hart's work took years to complete and makes for compelling viewing. It blends a history of her condition with her own experience and stories from other intersex people she seeks out to help her understand." "Personally I could not imagine a better film ever being made on coming to terms with a condition like AIS. It's wildly funny in parts but at the same time it's very intimate and deeply moving. I can't stop thinking about it." "The filmmaker's warmth and candor provide an engaging perspective on intersex identity and one family's changing attitude toward their 'secret.'" "The road trip at the heart of the documentary serves as a metaphor for moving from secrecy and shame to openness and acceptance…In the process, Hart’s film not only paints a compassionate portrait of people coming to terms with intersex, but crucially also interrogates rigidly defined constructs of gender, sexuality, and normality." In this highly personal experimental autobiography, emerging filmmaker Elliot Montague presents a daring meditation on the experience and trauma of growing up androgynous. Incorporating home movies with vintage health public service announcements, along with his own performance pieces, Elliot jarringly discloses the conflicts between his changing female body with that of his gender and sexual identity. Through a montage of images set against a dissonant soundtrack, he speaks about the misunderstandings and tensions his identity struggle caused his family and the depression that later resulted. In scenes where Elliot binds his breasts, he painfully discloses how his parents sent him to a psychologist who diagnosed him with bi-polar disorder – a diagnosis that later proved to be incorrect. Exploring the complexities and implications of feeling androgynous in a female body, THROUGH THE SKIN presents more than a personal testimony on the transgender experience, it provokes universal questions on the meaning of gender. An important exploration of issues rarely touched upon by most films portraying female-to-male (FTM) transgender experiences, this feature-length documentary sets itself apart from other recent films on this topic. Tackling the resistance of some women in feminist and lesbian communities who view FTM transitioning as at best a "trend" or at worst an anti-feminist act that taps into male privilege, this groundbreaking film opens up a dialog between the lesbian, feminist, and transgender communities while also promoting understanding of transgender issues for general audiences. In the course of the film, three young transitioning FTMs in New York City- Nicco, Norie and Keegan- go through major junctures in their transitions, discussing everything from their relationships with their bodies, feminism, and the intersection of race and class with their transgender identity. Their stories are interspersed with interviews with lesbians, activists and theorists who engage with the often-contentious questions and issues that are raised within the queer and feminist communities but are rarely discussed openly. Situating these struggles and stories as inextricably linked to queer and feminist struggles, BOY I AM presents an empowering chronicle of queer resistance that challenges all viewers to rethink their concepts of activism and identity. Following 26-year-old Madison during a crucial three years of her transition from male to female, GIRL INSIDE is a beautiful film that tracks her emotional, intellectual and spiritual journey of self-discovery that is as important as – if not more than – the physical journey of hormones and surgery. Sharing the spotlight is Vivien, Madison’s glamorous 80-year-old grandmother, who has taken on the job of advising her on all things feminine. While Vivien's attempts to school Madison in old-fashioned codes of fashion and behavior are often hilarious, the juxtaposition of two vastly different experiences of womanhood, from very different generations, raises profound issues about the nature of gender, femininity and sexuality. Sometimes funny, sometimes painful, this heartwarming coming of age story is both an intimate portrait and a thoughtful exploration of what it means to be a woman. Recommended for courses in transgender and queer studies, gender studies, women’s studies and sociology. Screened to acclaim at Gay & Lesbian Film Festivals worldwide and LBGT events across the nation, this candid and courageous portrait of more than 15-months in the female-to-male (FTM) transition of Jay Snider explores both the emotional and physical changes of this profound experience--beginning prior to hormones and concluding after top surgery. Footage shot before and after the surgery captures dramatic physical transitions, while intimate interviews with Jay, his ex-husband, his best friend and his lesbian-identified partner aptly capture the emotional and psychological shifts that occur during the process. With support from those closest to him, Jay’s experience is remarkably positive, though not without conflict. During the course of the film, he renews long-distant ties with his brother, but also faces permanent estrangement from his parents. SIR is an in-depth and humanizing exploration of the challenges, discrimination, and alienation faced by transsexuals. Jay’s conflicted feelings around queer identification are portrayed along with his significant other’s continued identification as lesbian. A much-needed look at FTM transition, the film demonstrates both the fluidity of sexual identification and that love and human resilience can triumph over deep-rooted differences. THE SAME DIFFERENCE is a compelling documentary about lesbians who discriminate against other lesbians based on gender roles. Director Nneka Onuorah takes an in-depth look at the internalized hetero-normative gender roles that have become all too familiar within the African American lesbian and bisexual community. Onuorah shows how these behaviors reproduce the homophobic oppression and masculine privilege of the straight world, while looking for solutions in compelling discussions with community members. Self-identified studs—and the women who love them—discuss hypocrisy in terms of gender roles, performative expectations, and the silent disciplining that occurs between community members. This film features many queer celebrities, including actress Felicia “Snoop” Pearson from the critically acclaimed HBO drama The Wire, and Lea DeLaria from Netflix’s Orange Is the New Black, living daily with opinions about how identity should be portrayed. Onuorah's engaging documentary shines a light on the relationships and experiences within the queer black female community, intersecting race, gender and sexuality. Required viewing for Women’s, Gender and Queer Studies.